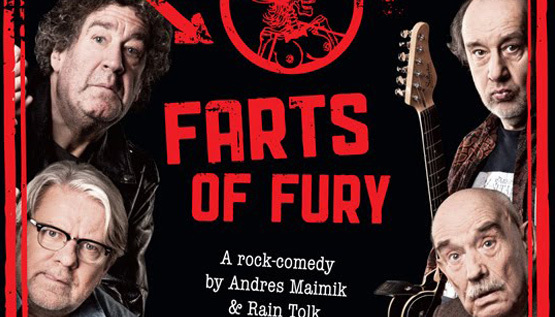 Farts of Fury is a black comedy telling the tale of old-school rock farts, who attempt a comeback at any cost. Stress on the word “attempt”, because, as always, best intentions are only making it worse. The absolute elite squad of Estonian actors has given their collective hand to help out and the soundtrack is filled to the brim with old school and new school golden Estonian rock music. Farts of Fury is the new Estonian comedy, scripted and directed by messieurs Andres Maimik and Rain Tolk – the authors of 186 Kilometers, the third biggest domestic blockbuster in Estonia of all time.